So here we go again. My son's skating lessons have started up and we've decided to return to Moody Park Arena. We had taken a brief hiatus for the summer and prior to that, we had given 8 Rinks a shot. Bad idea. Not only was the student-instructor ratio not very good, the whole thing seemed like a disorganized mess. They kept losing my son's progress report, as if he wasn't there. But then again, he is kinda short, so it's like he wasn't there I suppose. Anyways, we returned to the program that seemed to work the best and back to Moody Park we would go. This time around, my daughter would be taking the introductory c lass simultaneously. Nice. Kill 2 birds with one stone! Seeing how the lessons end at 6:30pm, there was no way in the world we'd be able to get home and cook in time. Yup, that means a food adventure! I wasn't really all that inspired by the eats around Moody Park, so we headed all the way back to the Lougheed Mall area to try out Okoman. 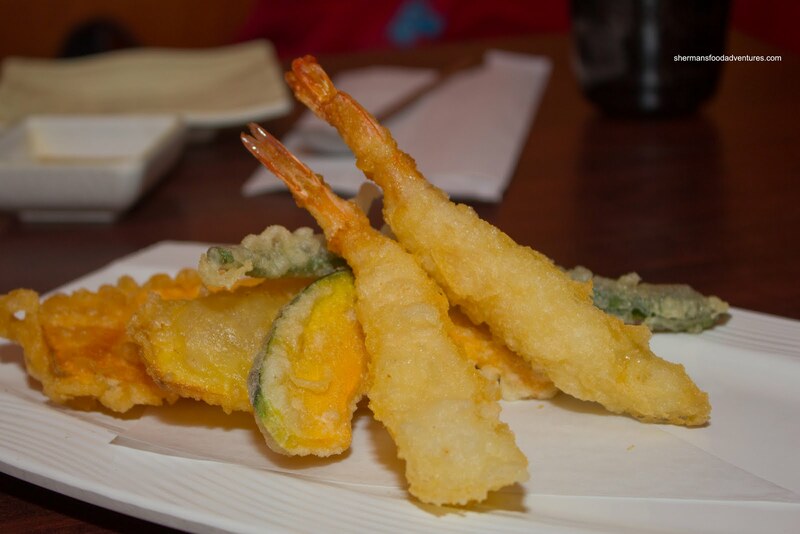 Yet another one of those "see-all-the-time-but-never-stop-to-eat-at" restaurants, Okoman is just steps away from Japolo Sushi. I often wonder how so many J apanese restaurants can co-exist in such a small area... The one that I immediately liked about the place was the semi-private booth seating which was good for kiddies and picture-taking! So we started with an order of Salmon Sashimi which was absolutely humungous. The slices of fish were easily twice the size of most other places. The fish itself wasn't bad. 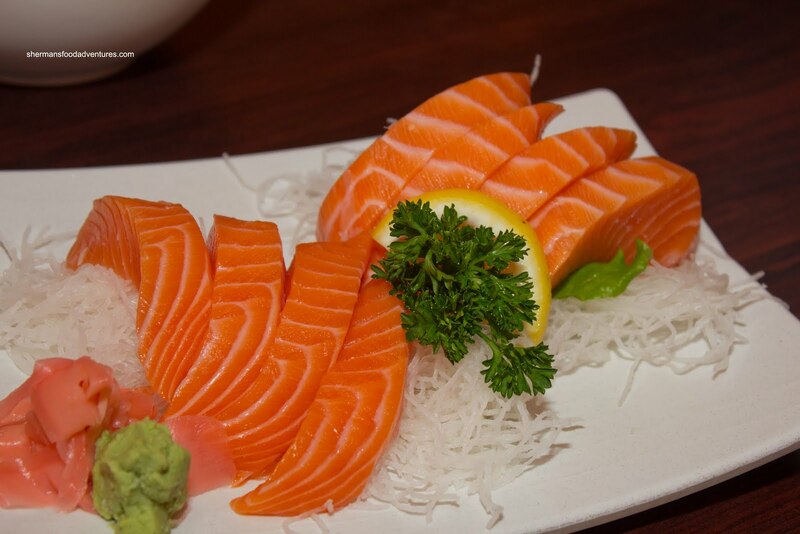 The texture was firm and it was as fresh as previously frozen fish could be. The Appetizer Tempura, that we got for the kiddies, was pretty decent as well. The batter was a bit strange looking on the ebi (probably too watery, thus the smooth texture), but it was crisp and light nonetheless. 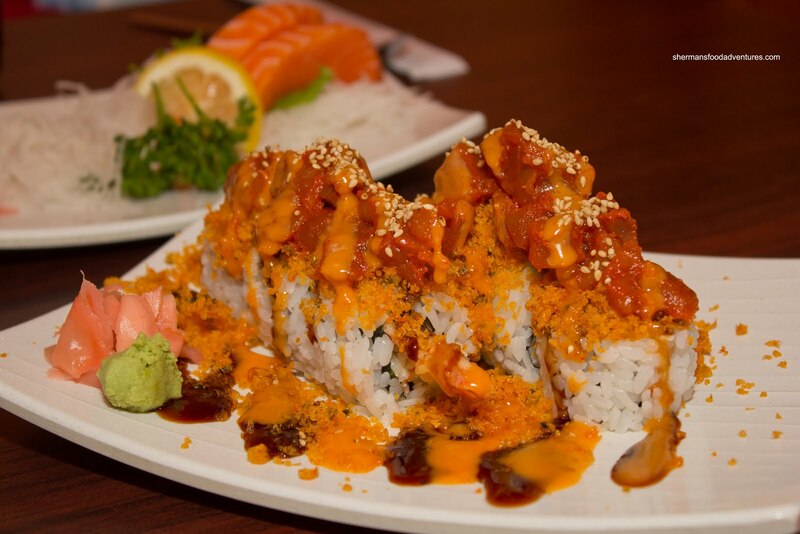 We got one specialty roll which was the Red Dragon consisting of ebi and imitation crab on the inside with spicy tuna, tempura bits and sauce drizzled on the outside. The roll was alright. I mean, the rice was actually pretty decent being chewy and not dry, however, the spicy tuna had a very strange texture. It was sorta gummy and sticky. The obscene amount of sweet sauce on the outside was surprisingly not too bad though. For the past year, it seems like my son has turned his back from the regular udon in soup. All he wants now is Yaki Udon, which we did end up ordering. 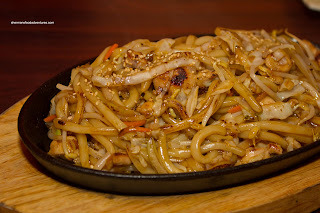 This was a pretty standard version with just the right amount of sauce and nicely textured udon. The chicken was cooked well with good caramelization as well. However, the veggies to udon ratio was way off. There was at least 2 times the amount of veggies than noodles. For us, the dish felt unbalanced as a result. 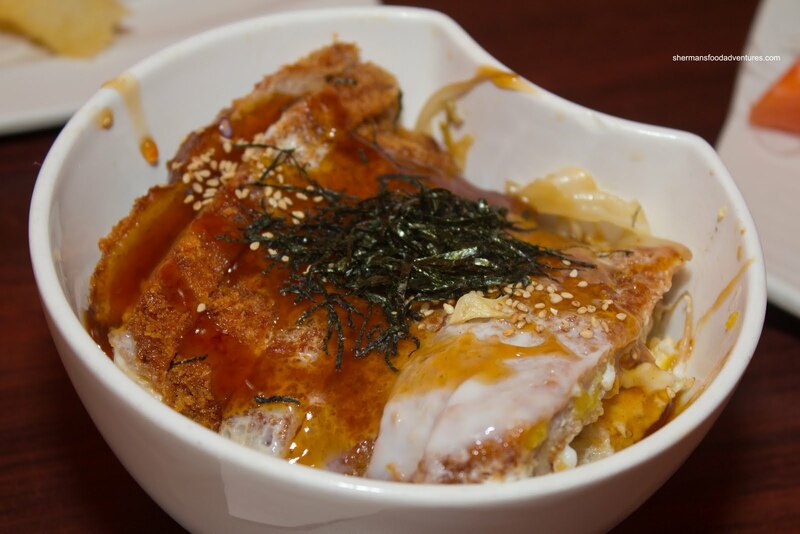 Our last item was the Katsu Don and it was a fail. Despite the massive pork chop on top of properly cooked rice, the meat itself was not good. It was overcooked and very chewy. Either the cut of meat was too lean and they cooked it too long or they didn't tenderize it. Sure, tenderizing is a shortcut, but the meat here was hard to chew. From this meal, it was pretty obvious that Okoman's main draw are the large portions combined with reasonable prices. In terms of overall execution it is a touch hit and miss. 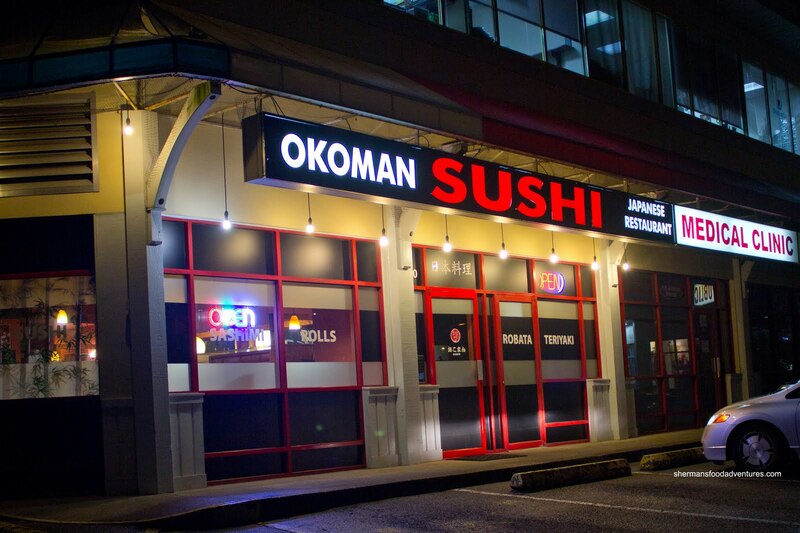 If you are not too picky about your food, then Okoman is alright in terms of overall value.